What’s a better way to get a handful of candies other than hitting a pinata ? 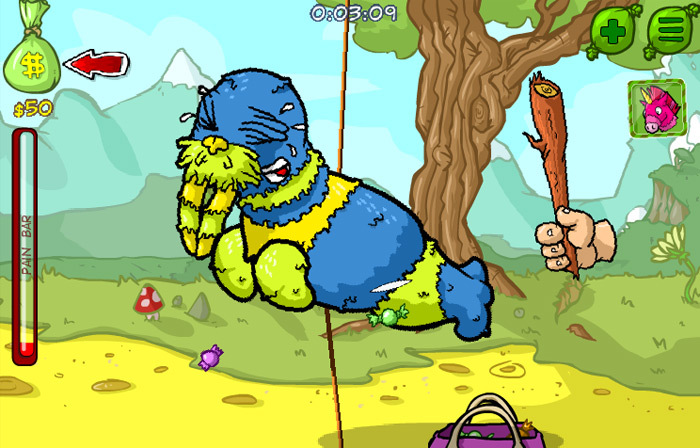 Try to break the almost unbreakable pinata in Pinata Hunter 3 as you try to get all the candy out of it until you get your hands full and your hands worn out hitting it. You must have all the candy you can grab and if the pinata breaks, more will be provided for you. 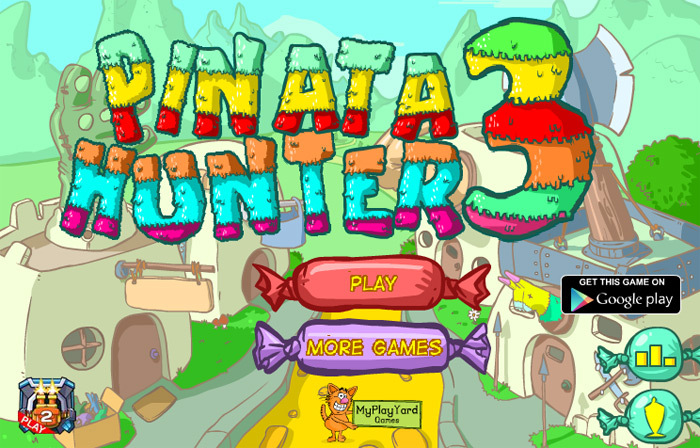 Pinata Hunter 3 has various new unique upgrades and features to provide you with more candy than ever in the game, with more weapons and bags, you can collect more candy at once and possibly hope to completely break all the pinatas in the game. Try all you want, but the pinatas will not stop being replaced and neither is the candy going to stop falling while your hands will wear out trying to chase the limit of the pinatas and the candy. 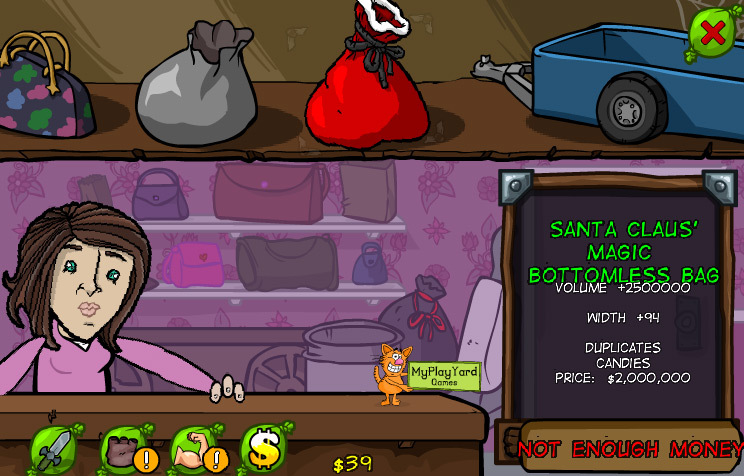 The objective of the game in Pinata Hunter 3 is that it provides you with a pinata full of candy that you will have hit constantly and skillfully as you put your bag in a position where you will receive the most candies that are dropping from it. That’s it. The game controls are really simple, and that makes the game even more fun ! Normal Mode – This is the classic mode where you have to hit the pinata constantly and get as much candy as possible to buy new upgrades and weapons. Time Mode – The time mode is quite challenging, where you must collect a certain amount of candy in a given amount of time to proceed to the next level. The difficulty increases as you progress as the time is shortened with the requirement of more candies. Challenge Mode – The challenge mode consists of several challenges in which you will be provided with different weapons in each level, with which you will be required to earn a certain amount of candy. There are several variations of the objective in the different levels in challenge mode. Some of the levels are hard. If you can’t complete them, feel free to check the walkthrough video we posted some time ago. It will really help you. You can also find many useful walkthough videos on YouTube. Many people use them because not everyone is talented enough to complete super hard levels. 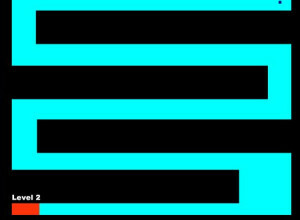 Try to solve the levels yourself, and only if you can’t figure them out -visit YouTube. There are various achievement award for completing various types of challenges, which includes collecting a certain amount of candy, executing a combo, buying a certain weapon etc. 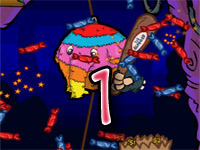 Pinata Hunter 3 provides more than 100 achievements to earn. 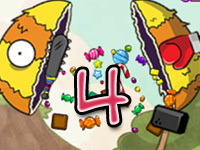 By skillfully hitting the pinata with your weapon, the candies dropped will be dropping in your desired position, otherwise the candies will scatter away and the chances of receiving any candy will certainly be negligible. To get more candies in hopes for buying new weapons and bags, you must not hit the pinata too hard nor too weakly unless you just hope to break the pinata. The pinatas get replaced if broken but it would take a very long time to break it, which is why you would need more weapons. 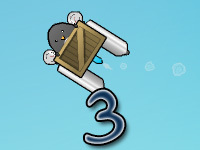 Pinata Hunter 3 provides you with more weapons and upgrades than any other part of the game. This time the weapons provided also include projectiles, these do not have an effect on the pain meter but these require ammo and needs to cool down, they can also be upgraded to increase the accuracy and prevent over-heating. Please share this site with your friends. Thanks! You can also like our Facebook page.